Aggregate Industries quarries, manufactures and supplies a wide range of heavy building materials to the construction industry. 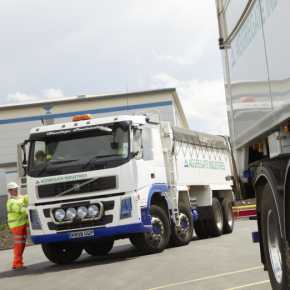 Aggregate Industries has said a standardised approach to colour demarcation is vital to make Britain’s roads safer. 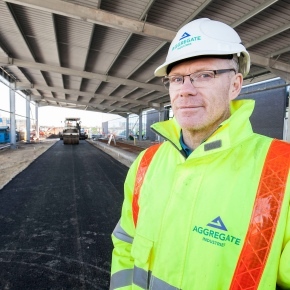 Aggregate Industries’ asphalt division has helped one of its customers secure, and deliver on, a new contract entailing the creation of a car park. 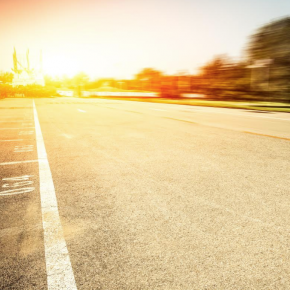 Aggregate Industries is urging utilities firms to make better use of emerging asphalt innovations, in order to keep roads pothole-free for longer. 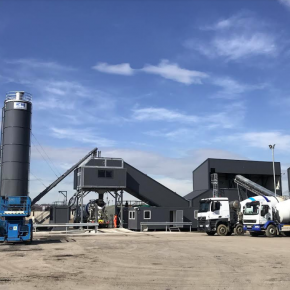 In light of growing demand in the South Yorkshire area, Aggregate Industries has opened a new, high-capacity ready mix concrete plant on the outskirts of Sheffield. 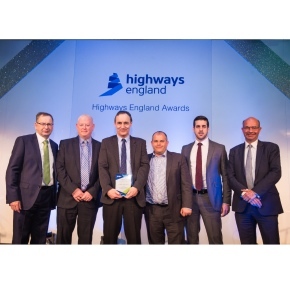 Aggregate Industries has achieved the highest accolade, winning a Highways England Award for its pioneering new vehicle auto-braking system that’s set to transform road worker safety. 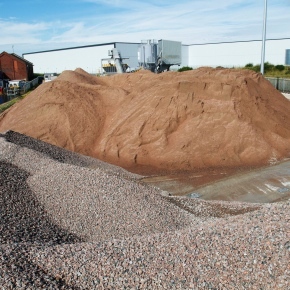 Aggregate Industries has become the first construction materials supplier to achieve PAS 2080 verification. 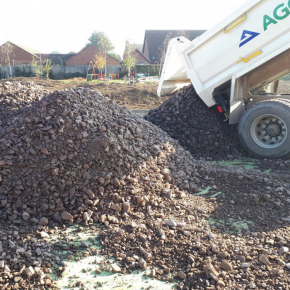 Aggregate Industries has supplied 10,000 tonnes of sub-base aggregates and SuperFlow range of SuDS materials for the construction of a new campus for an Essex school. 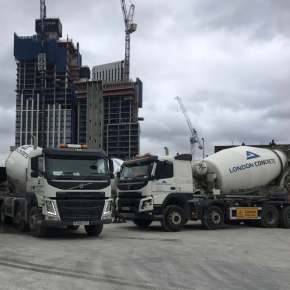 London Concrete (part of Aggregate Industries) has provided 5000 cubic metres of ready mix concrete to the exclusive One Nine Elms development in Central London. 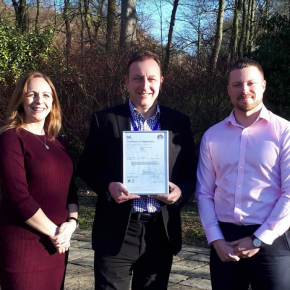 Aggregate Industries has recently achieved recommendation for ISO 44001 certification for its Collaborative Business Relationship Management Systems. 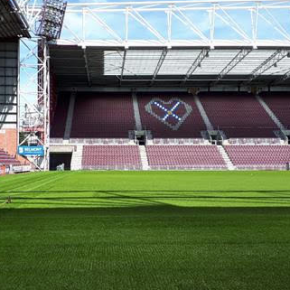 Heart of Midlothian Football Club has upgraded its famed Tynecastle Park in Edinburgh, with a new state-of-the-art hybrid pitch thanks to Aggregate Industries’ drainage stone, sand and rootzone. 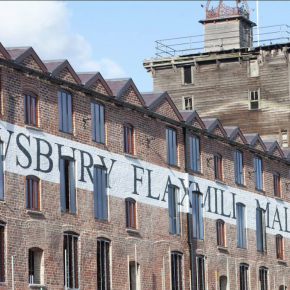 Aggregate Industries was recently chosen to help restore the ‘world’s first skyscraper’, the listed Main Mill at Shrewsbury Flaxmill Maltings in Shropshire. 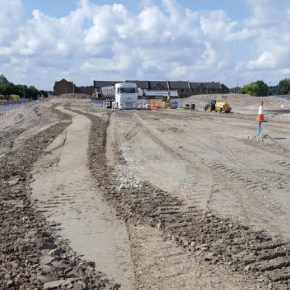 Aggregate Industries has announced it has been chosen to exclusively supply sub-base aggregate for flood defence works at the Strood Waterfront Project in Medway, Kent. 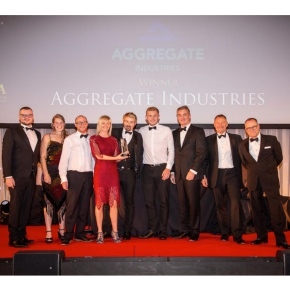 As part of its on-going commitment to providing the best possible customer experience, Aggregate Industries has altered the logistics model for its concrete products business. 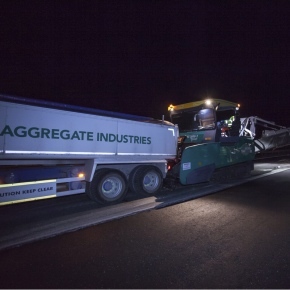 Aggregate Industries’ new SuperCurve asphalt solution has demonstrated its ability to withstand high-levels of HGV traffic during a recent resurfacing project. 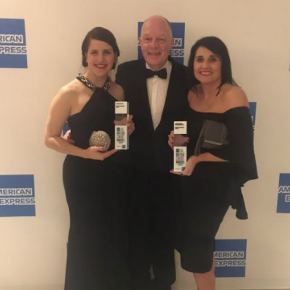 Aggregate Industries has been recognised by the Chartered Institute of Credit Management (CICM) at the prestigious British Credit Awards. 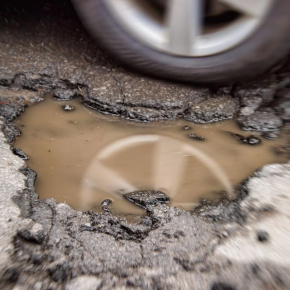 Lafarge Cement has stated wider adoption of soil stabilisation could be key to making road construction more cost-effective and sustainable. 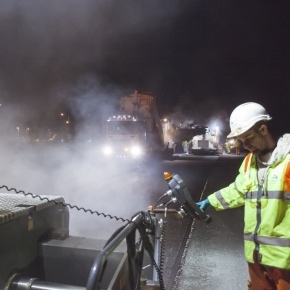 Aggregate Industries has launched a new range of high early strength concretes, specifically designed for use in structural, void-fill, pavement and track bed applications. 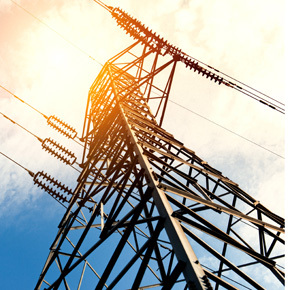 A consortium which includes Aggregate Industries has recently secured BEIS funding for an industry-first application of LAES energy efficiency technology. 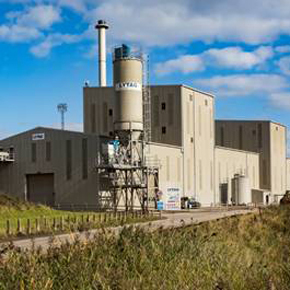 Lafarge Cement, part of Aggregate Industries, has achieved BS EN ISO50001:2018 in Energy Management Systems, after demonstrating its ongoing commitment to energy efficiency. 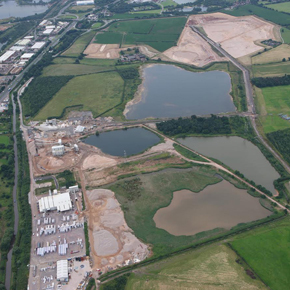 Aggregate Industries is currently supplying top-grade aggregates for the extraordinary development of the Thurrock Thameside Nature Park in Essex. 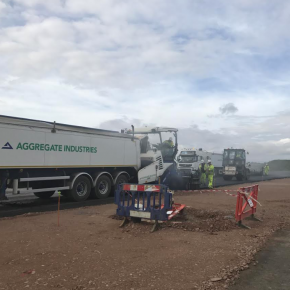 Aggregate Industries’ contracting division has recently laid 1,800 tonnes of an ultra-low noise asphalt at Brampton Hut Services in Huntingdon, in just one weekend. 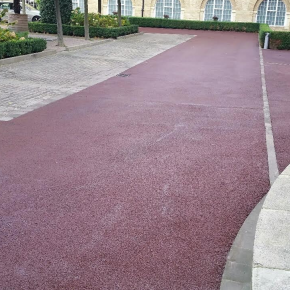 Aggregate Industries was recently chosen to supply its SuperColour Ultra asphalt solutions to a new visitor centre in Nottinghamshire. 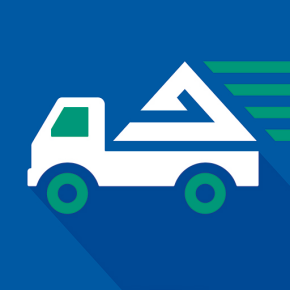 With HGVs identified as the second fastest growing traffic type in recent years, Aggregate says more should be done to promote road safety in construction. 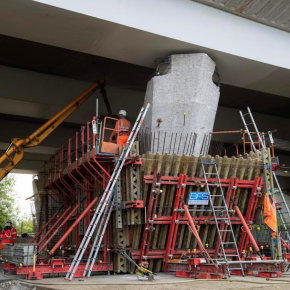 Aggregate Industries’ unique Lytacrete solution has proved crucial in the £5 million structural refurb of Nene Bridge in Peterborough. 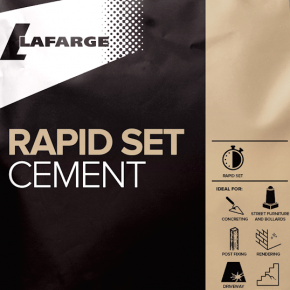 Lafarge Cement, part of the Aggregate Industries business, has introduced a new packed product to its range: Rapid Set Cement. 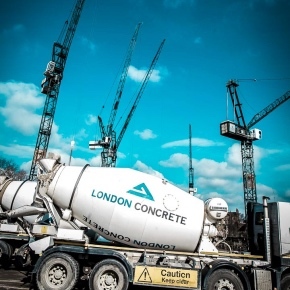 Lafarge Cement, part of the Aggregate Industries business, is calling on housebuilders to demand tighter controls around the use of mortar. 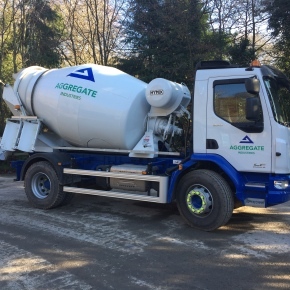 Aggregate Industries’ Contracting division has commenced its introduction of a fleet of the market’s latest pivot-steered rollers, ensuring operatives are ‘always facing forward’. 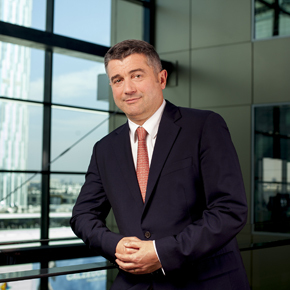 The current CEO of US Aggregate Construction Materials has been appointed CEO of Aggregate Industries UK starting January 2019. 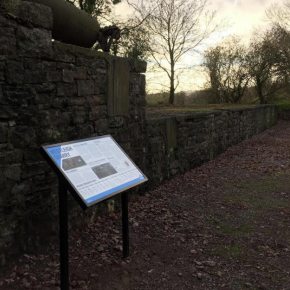 Showcasing its commitment to contributing to the communities around its sites, Aggregate has gifted three information boards to the residents of Burlescombe. Aggregate Industries has supported a charity campaign aiming to return a Leicestershire woman to her home from hospital before Christmas. 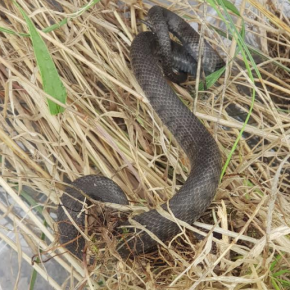 Aggregate Industries is warning visitors to the popular Paxton Pits Nature Reserve in Cambridge of the dangers of wandering off the designated footpaths. 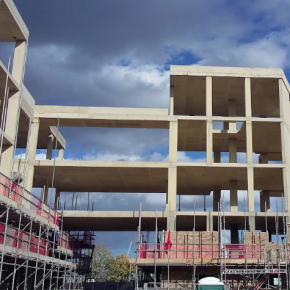 Aggregate Industries’ concrete division has made it simpler for housebuilders to specify compliant structural topping products. 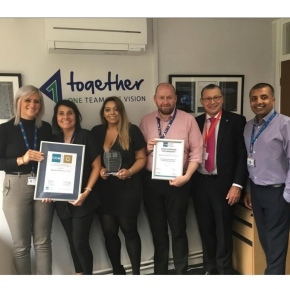 Aggregate Industries is pleased to announce that it’s innovative sales support platform has been recognised as the Sales Support Team of the Year! 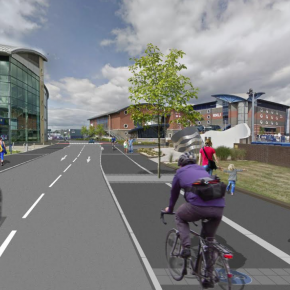 Charcon Hard Landscaping has been given the contract to supply the Borough of Poole, and it’s Townside Access Scheme, with its innovative Cycle Kerb. 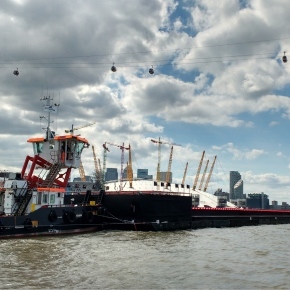 Continuing its commitment to safeguarding cherished wildlife at its sites, Aggregate Industries is undertaking another major conservation project at its Isle of Grain terminal in Kent. 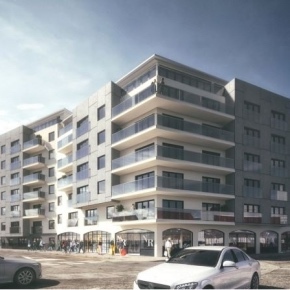 Charcon, the hard landscaping division of Aggregate Industries, has supplied a multi-million pound project to redevelop Ponders End High Street in Enfield. 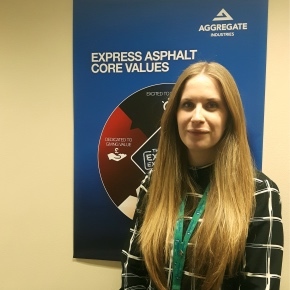 Aggregate Industries has bolstered its asphalt and ready-mixed concrete division with the high-profile appointment of new Head of Business Development, Joanne Wilkins. 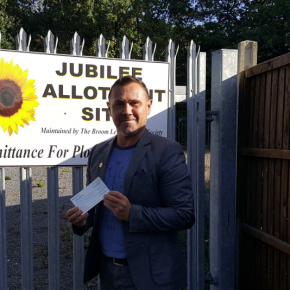 Broom Leys Allotment Society has received a welcome boost from Aggregate Industries, courtesy of £5,500 in funding. 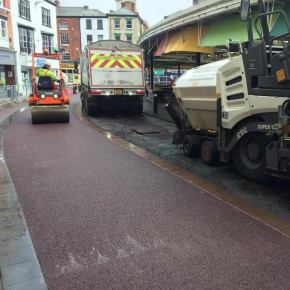 Aggregate Industries’ popular red asphalt was recently chosen for a major renovation of Leicester Market, and surpassed all expectation. 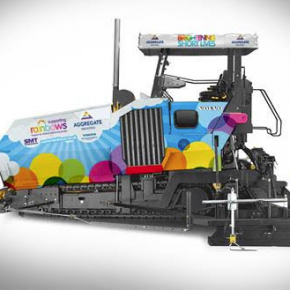 As it continues its pledge to support local charities, Aggregate Industries has joined forces with Rainbows Hospice for Children and Young People to launch a new technicolour paving machine. 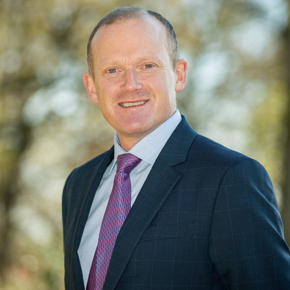 Aggregate Industries has announced that it has achieved the Chartered Institute of Credit Management’s ‘quality accreditation’ for the fifth year running. 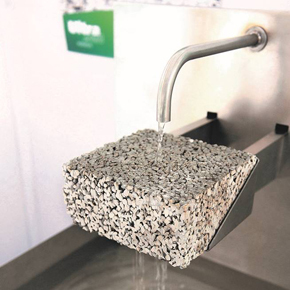 Aggregate is reminding contractors that innovative concrete solutions, such as Lytag, are vital in order to achieve world-class sustainable building design. 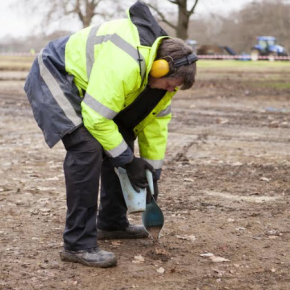 To improve health and safety in the highways sector, Aggregate Industries’ Contracting Division has introduced two-way radio headsets across all its sites. 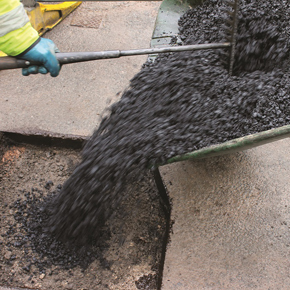 Aggregate Industries is encouraging contractors and building specifiers to ‘look beyond black’ and make better use of innovative asphalt materials. 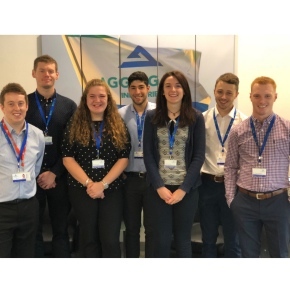 Aggregate Industries continued investment in the next generation has seen the construction giant recently launch its 2018 graduate programme. 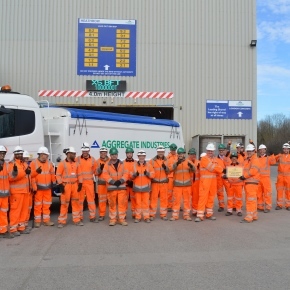 Aggregate Industries has announced that it has renewed its membership with the 5% Club to continue its work inspiring, educating and retaining apprentices. 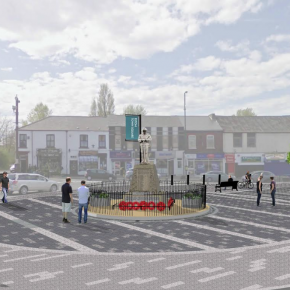 Charcon Hard Landscaping has been awarded the contract to supply Redcar and Cleveland Council with materials for the regeneration of Eston Town Square. 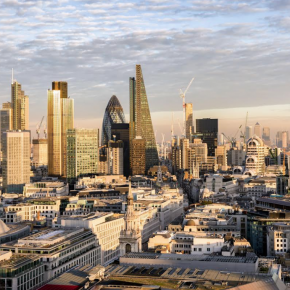 Aggregate Industries has continued to transform London’s skyline, with its latest project in the capital being part of £250m redevelopment of 100 Liverpool Street. 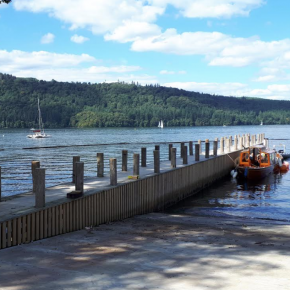 Aggregate Industries’ expert concrete recently helped to provide a flooring concrete specification for the newly-launched, Lake District’s Windermere Jetty project. 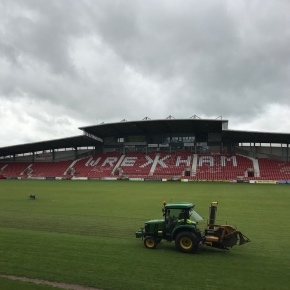 With this summer’s heady heatwave creating havoc for many sports pitches, Aggregate Industries has explained to contractors the long lasting benefits of deep aeration in maintaining a supreme playing surface. 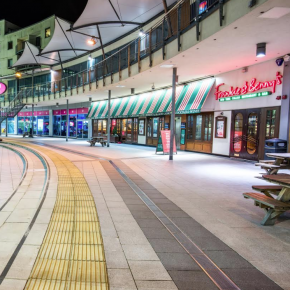 Charcon Hard Landscaping has successfully completed a delivery of more than 4,500 square metres of paving to the construction phase of Birmingham’s Broadway Plaza. 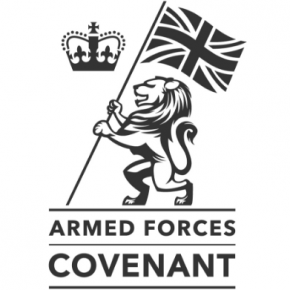 Aggregate Industries has pledged its support for the Armed Forces community, by signing the Armed Forces Covenant. 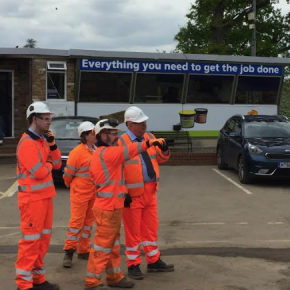 Aggregate Industries has opened a new aggregate rail head in Hertfordshire, as part of continuous plans to support supply into this region. 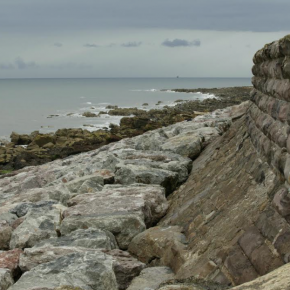 Aggregate Industries has announced a new three year partnership with The Wildlife Trusts, which manages thousands of nature reserves and runs marine conservation projects on the UK’s coasts. 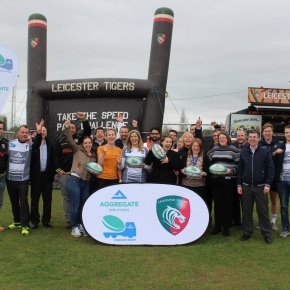 Aggregate Industries’ Concrete Rugby initiative, delivered in partnership with the Leicester Tigers Foundation, has surpassed all targets, as it continues its second year of the programme. 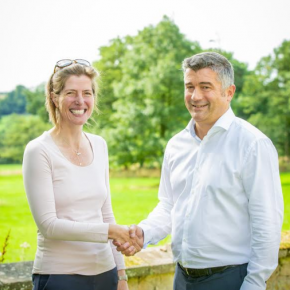 Aggregate Industries has announced that it has signed a £3m deal with Siemens as part of a new technology and training partnership. 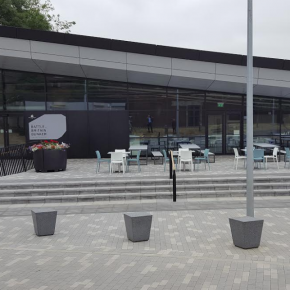 Charcon, the commercial hard landscaping division of Aggregate, has helped shape the new Battle of Britain exhibition and visitor centre in Greater London. 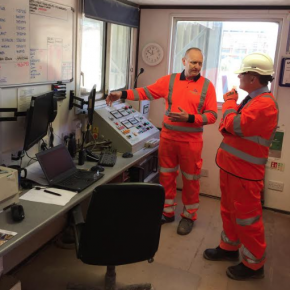 As part of its ongoing commitment to improving air quality, Aggregate Industries has implemented a programme to lower airborne emissions at its Horn Lane Goods Yard, Acton site in Ealing, London. Aggregate Industries Contracting focus on figures showing apprentices often earn more than many university graduates, plus trade apprenticeships in the road construction industry. 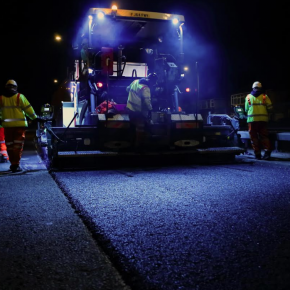 Aggregate will continue to deliver world class pavement solutions to Highways England for four more years, via its new Category Management Framework. 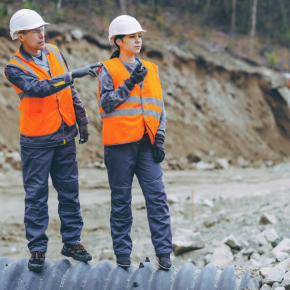 Aggregate Industries is currently focusing on getting more women into construction, and as part of this, the company is joining a female-friendly job site. 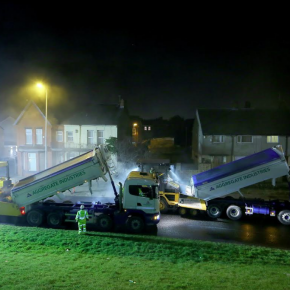 MP, Royston Smith recently praised Aggregate Industries for its ‘invaluable contribution’ to building and maintenance of roads, schools and hospitals. 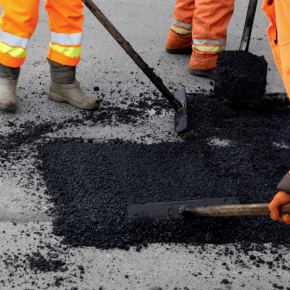 With local authorities facing pressure regarding potholes on roads, Aggregate Industries says the standardisation of asphalt specification could help to improve roads’ durability and performance. 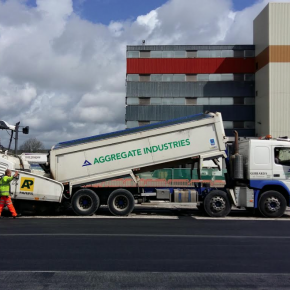 With an ever-increasing appetite for coloured asphalt nationwide, Aggregate Industries has opened a new sampling lab at its Express Asphalt plant in Doncaster. 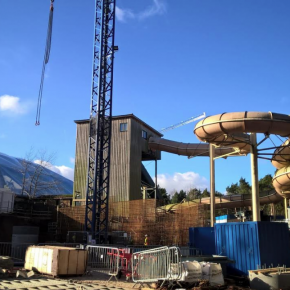 Aggregate Industries recently provided its highly-durable watertight concrete mix as part of the renovation of a Center Parcs indoor water park. 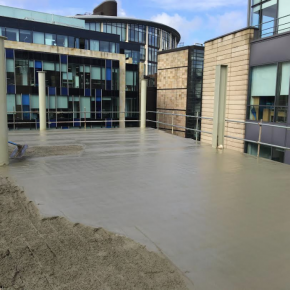 Aggregate Industries’ innovative Lytag solution has helped lighten the load of a new upmarket commercial build in Edinburgh city centre. 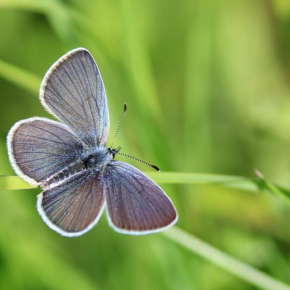 Aggregate Industries’ commitment to managing biodiversity has seen the company partner with the Butterfly Conservation and Cumbria Wildlife Trust. 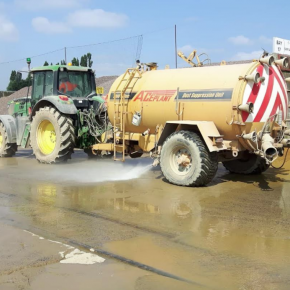 Aggregate Industries’ Contracting Division calls for a ‘back to basics’ approach to improving site safety in the construction and road surfacing industry. 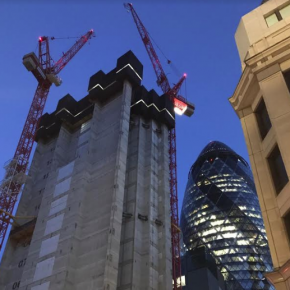 Aggregate Industries’ revolutionary Lytag product proved vital during the landmark development of 70 St Mary Axe, the latest skyscraper set to adorn London’s skyline. Aggregate Industries is continuing its commitment to sustainability by hosting a Supplier Day today. 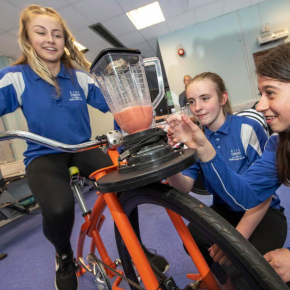 Aggregate and Leicester Tigers’ ‘Get On Your Bike’ campaign to get more Leicestershire children healthy and active has continued, as they have recently been taught about the importance of nutrition and exercise. 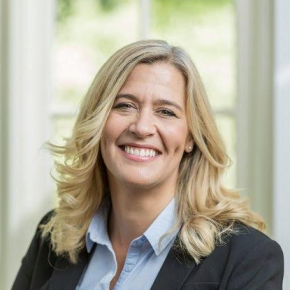 Despite important progress recently, Aggregate Industries’ Contracting Division says a brand new mindset is needed to create a more inclusive and diverse workforce in the construction industry. 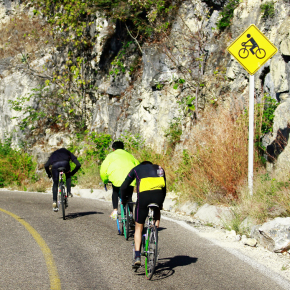 A 16-strong team from Aggregate Industries is tackling the 50 mile DougieMac Challenger Cycle Route on 20 May, in memory of colleague Karl Payne. 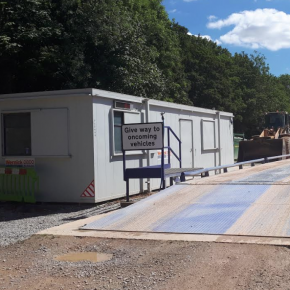 A local MP has honoured the ‘vital role’ Aggregate Industries’ Hertford Express Asphalt Plant has played in improving and maintaining the road network. 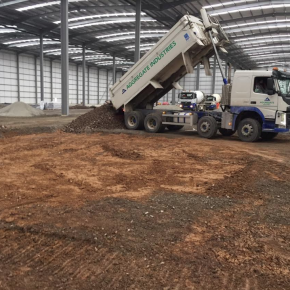 Aggregate Industries has recently supplied 22,000 tonnes of its type 1 sub-base aggregate to the newly developed Leicester Commercial Park. 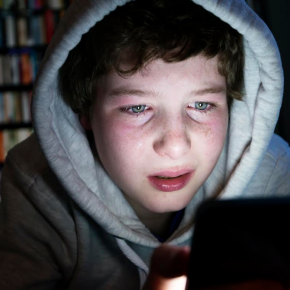 Aggregate Industries is urging construction companies to focus on mental health in the workplace, which comes after the success its own ‘Healthy You’ initiative has had on its workforce. 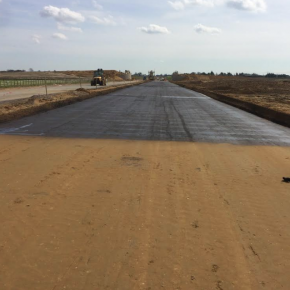 Aggregate Industries has been selected to exclusively deliver the surfacing works for England’s largest road improvement project, the A14 Cambridge to Huntingdon Flexible Pavement Works. 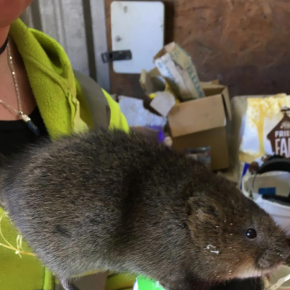 As part of Aggregate Industries’ commitment to helping protect the wildlife on its operation areas, this spring saw the company carry out a large scale water vole relocation. 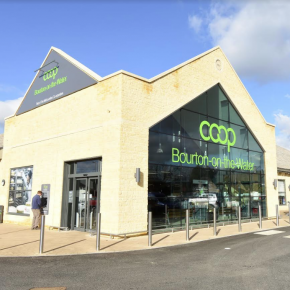 Aggregate Industries’ Building Products team has supplied 1,200 square metres of its Bradstone Crofters roofing tile to the eco-friendly Midcounties Co-operative supermarket in Gloucestershire. 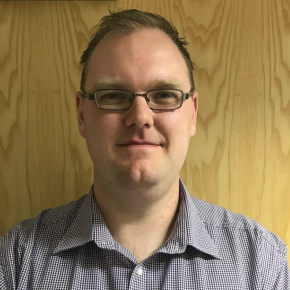 Aggregate Industries has welcomed a new BIM and CAD Technical Assistant to enhance its BIM proposition. 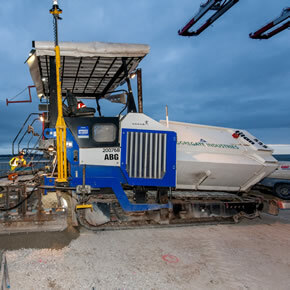 Aggregate Industries has provided its innovative and highly-durable Highpave® concrete mix for the resurfacing of a scrap metal yard at Liverpool’s Canada Docks. 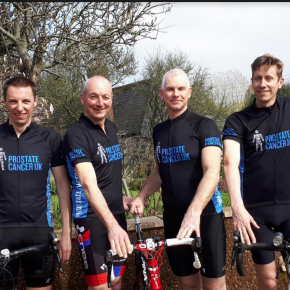 Two teams from Aggregate Industries are taking the Coast 2 Coast Challenge in May, to raise money for Prostate Cancer UK. 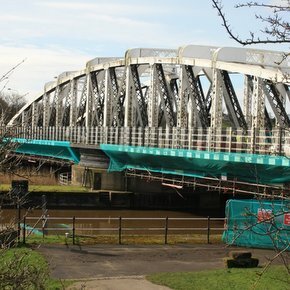 Lytag secondary aggregate from Aggregate Industries was recently chosen by Kier Construction as part of the renovation of Acton Swing Bridge. 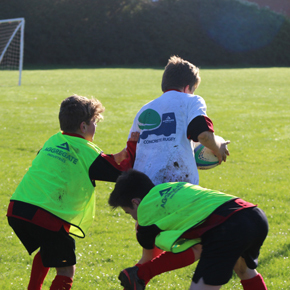 Aggregate Industries recently gave secondary school children the opportunity to learn all about the importance of sustainability as part of the Aggregate and Leicester Tigers’ Concrete Rugby initiative. 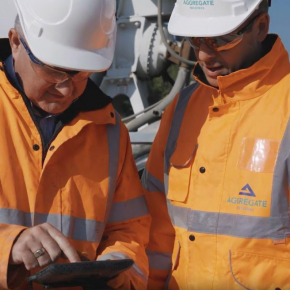 Aggregate Industries have responded to the fact the apprenticeship levy has come under scrutiny as ‘not being fit for purpose’, a year after implementation. 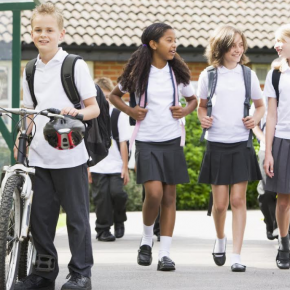 Aggregate Industries and Leicester Tigers are launching a campaign this month to encourage more school children to cycle. 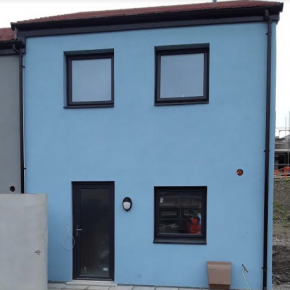 Aggregate Industries has supplied its Masterdenz® concrete blocks to Plymouth Community Homes, as part of a 72-home, low-energy development. 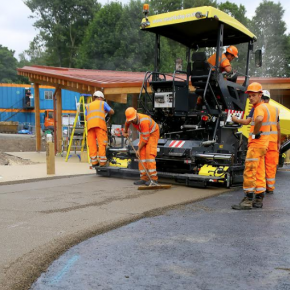 Lafarge Cement, part of Aggregate Industries, has created TerraCemTM, the UK’s first hydraulic road binder for use in soil stabilisation. 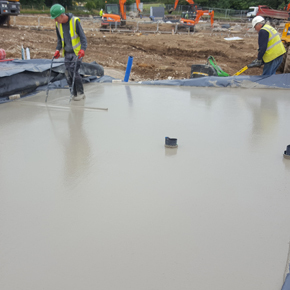 Aggregate Industries has recently been awarded the contract to supply the concrete specifications for the development of the new town, Northstowe. 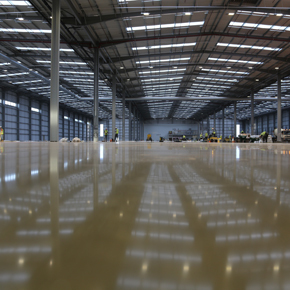 Aggregate Industries recently supplied 3,000m3 of its watertight concrete mix to the North West Cambridge Development. 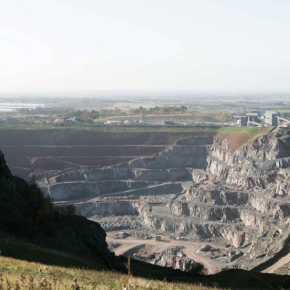 Aggregate Industries has recently completed the restoration of its Venn Ottery Quarry, near Exeter, after just one year working on it. 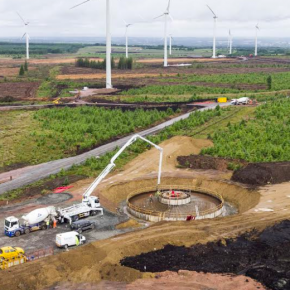 Aggregate Industries’ recent work at Harburnhead Windfarm has proven its ability to deal with complex specification requirements. 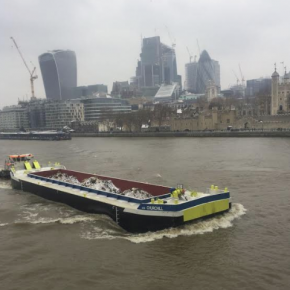 Aggregate Industries, in partnership with Bennett’s Barges, has welcomed the first of its new vessels, set to add huge tonnage to the River Thames. 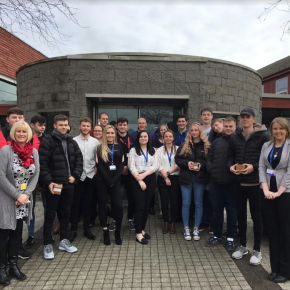 As part of last week’s National Apprenticeship Week, Aggregate Industries hosted an event at its Leicestershire HQ, geared towards the next generation of talent. 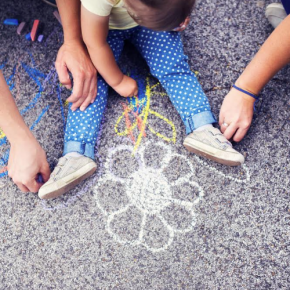 Aggregate Industries has recently launched its new Maternity and Paternity Leave policy to show its commitment to creating a more gender diverse workplace. 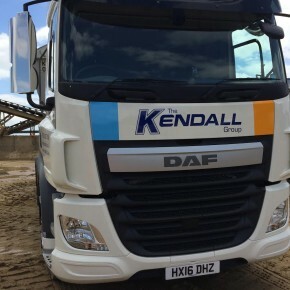 Aggregate Industries, a member of the LafargeHolcim Group, has acquired the aggregate and ready-mix concrete manufacturer, the Kendall Group. 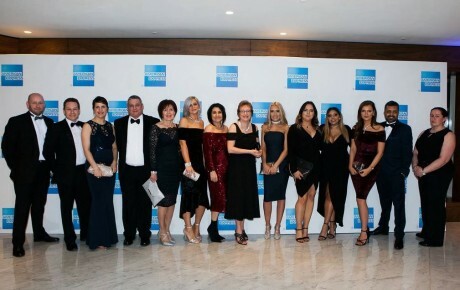 Aggregate Industries has taken the Employer of the Year accolade at this year’s Chartered Institute of Credit Management (CICM) British Credit Awards. 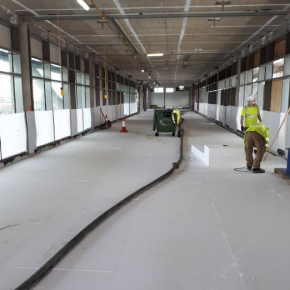 Aggregate Industries’ Lytag® has proved the ideal solution for assisting specification alteration for the construction of the new Midlands Metropolitan Hospital. 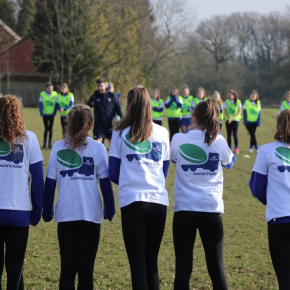 The positive launch of the ‘Give Bullying the Boot’ campaign last November has seen Aggregate Industries and Leicester Tigers continue their partnership to help beat bullying in Leicestershire. 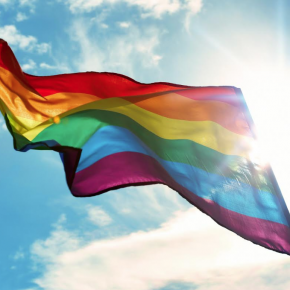 Aggregate Industries has become one of the first companies to join a new sector-wide initiative to promote a culture of Fairness, Inclusion and Respect (FIR). 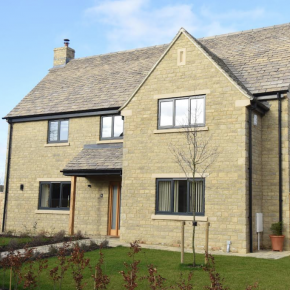 Aggregate Industries has supplied a plethora of its range for an exclusive residential development in Charlbury, Oxfordshire, with walling, roofing and flooring products all used. 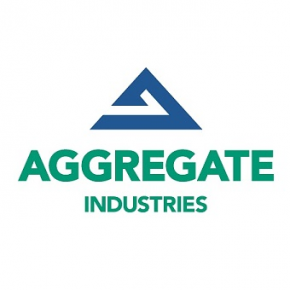 Aggregate Industries has released its latest phase of funding for the local community, centred in the company’s HQ in Bardon Hill, Leicestershire. 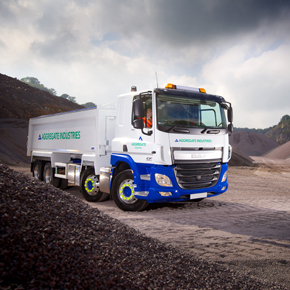 Aggregate Industries has announced the launch of a new Driving Style Rewards Programme to promote safer driving across its fleet of hauliers. 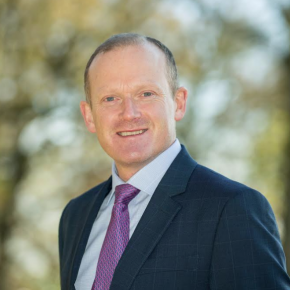 Aggregate Industries has set out its priorities looking forward, with the launch of its 2018 Innovation Strategy, with key focusses including robotics and artificial intelligence amongst others. 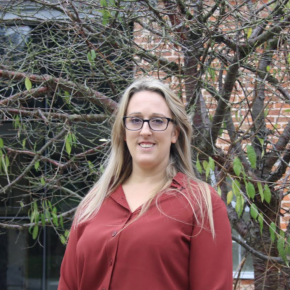 Aggregate Industries has received a whopping 10 nominations for the 2018 Chartered Institute of Credit Management (CICM) British Credit Awards. 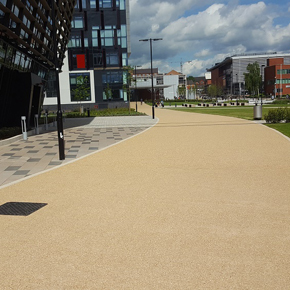 Aggregate Industries has provided a mixture of concrete and gravel aggregate to remodel the main thoroughfare at the heart of Leicestershire-based De Montfort University. 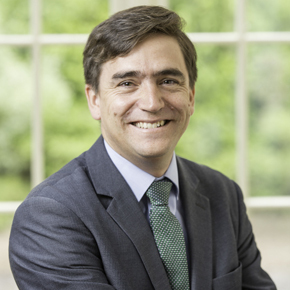 Aggregate Industries has selected Pablo Libreros to become Managing Director of its aggregates division. 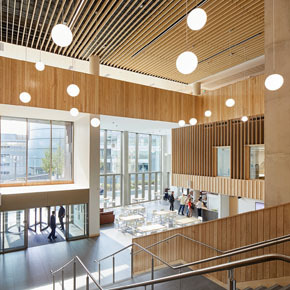 As part of their recent, extensive portfolio in the UK’s second city, Aggregate Industries have provided nearly all the internal concrete for the development of the Birmingham Conservatoire. 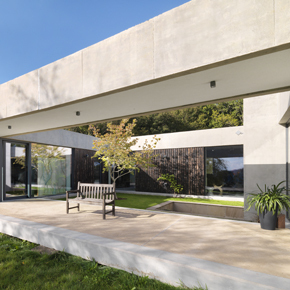 Aggregate Industries has said informed concrete choices and the embracement of new innovations is essential to pushing boundaries where intelligent, aesthetically pleasing and sustainable building design is concerned. 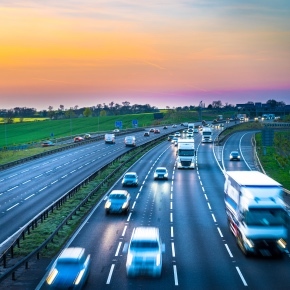 As reckless lorry driving continues to make the news, Aggregate Industries has stressed the fact businesses simply must pay extra diligence to guarantee the safety of their haulier providers. 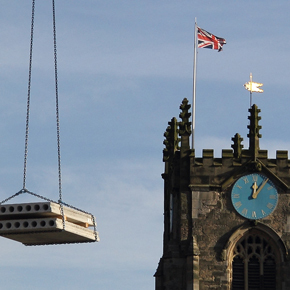 Aggregate Industries has become a supplier to retirement living specialist McCarthy & Stone, with Charcon Construction Solutions and its Building Products team completing a range of projects and orders in 2017. 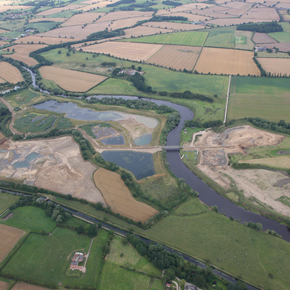 The Ripon City Quarry, of Aggregate Industries, has become the recipient of The Wildlife Trusts’ prestigious Biodiversity Benchmark award, honouring its dedication to protecting the natural environment. 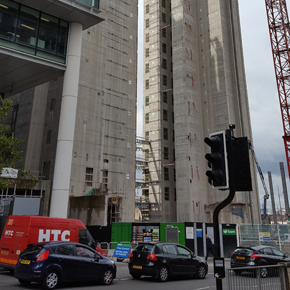 Aggregate Industries has provided almost 6,000 cubic metres of concrete for the ambitious redevelopment of Snow Hill station in Birmingham. 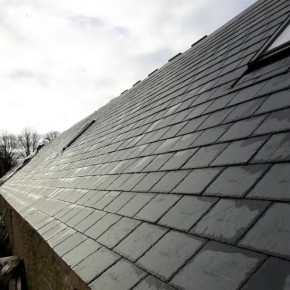 Aggregate Industries has announced the addition of the ‘Bradstone Azul’ Spanish Blue Slate to its range of Roofing Products. 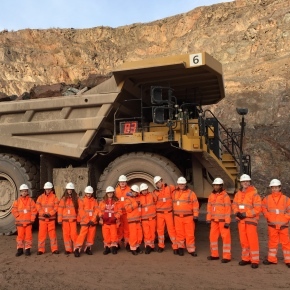 Aggregate Industries has announced it has seen a 50% increase in female graduates and over ten times an increase in its female apprentices since 2015. 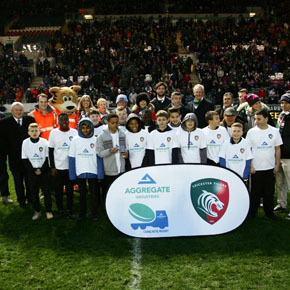 Aggregate Industries have teamed up with local schoolchildren in helping to organise a special visit to Welford Road, home to Leicester Tigers, as part of the club’s ‘Give Bullying the Boot’ programme. 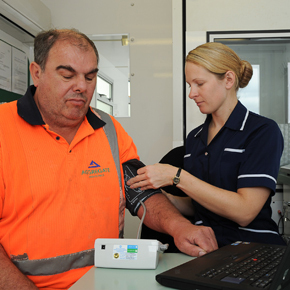 Aggregate Industries are not only a leading player in the construction and infrastructure industry but are also one of Britain’s Healthiest Workplaces, according to a survey by the Financial Times newspaper. 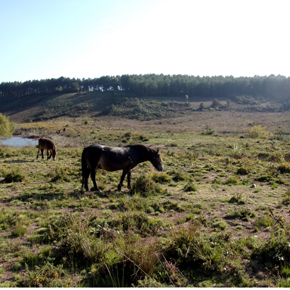 Aggregate Industries, operator of Blackhill Quarry near Exeter, has been awarded runner up for its restoration of the sand and gravel quarry at the Mineral Product Association’s Biodiversity Awards 2017. 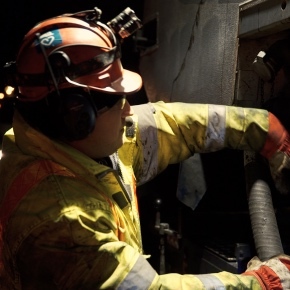 Aggregate Industries has announced a pioneering partnership with Open Energi; which has just launched its Dynamic Demand 2.0 platform, which uses artificial intelligence to connect, aggregate and optimise distributed energy assets. 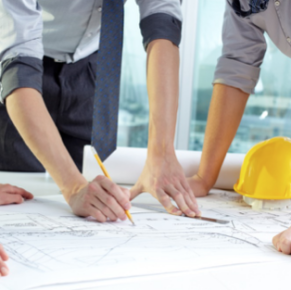 Aggregate Industries is advising housebuilders to look closer at the technical considerations before installing block and beam flooring, with the 1st January 2018 deadline for the National House Building Council’s (NHBC) Technical Extra 20 standard drawing closer. 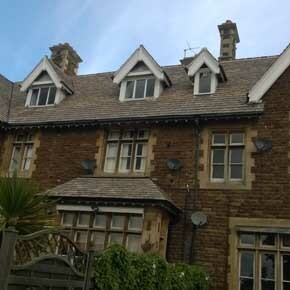 Grandeur has been restored to the roof of a historic hall in Rutland by Aggregate Industries’ Building Products team supplying roofing tiles to the project. 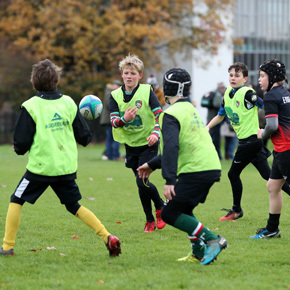 Aggregate Industries has partnered with Premiership rugby side Leicester Tigers in a major anti-bullying campaign ahead of this year’s Anti-Bullying Week, taking place from 13-17 November. 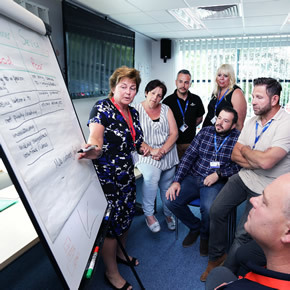 Aggregate Industries has demonstrated its vehement passion to combating modern slavery and creating an ethical business by hosting a Supplier Day. 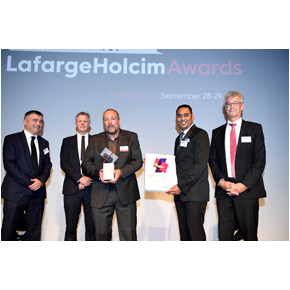 Pioneers of sustainable construction were honoured at the LafargeHolcim Awards last month, where the UK enjoyed success. 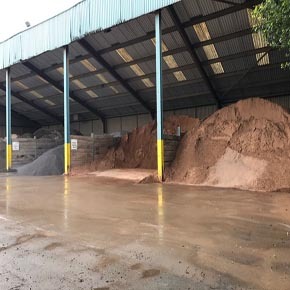 With heavy rainfall expected to hit the UK and around one in six properties at risk of flooding, Aggregate Industries talks planning defence measures. 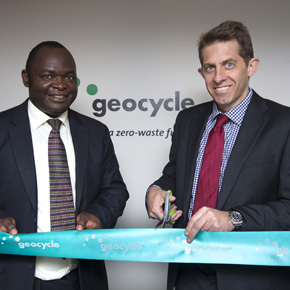 Geocycle, the worldwide leader for providing industrial and municipal waste management services, has just launched operations in the United Kingdom. 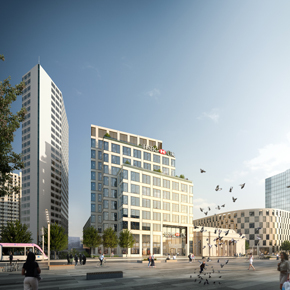 The new HSBC UK banking headquarters in Birmingham has had more than 20,000m3 of ready mix concrete supplied by Aggregate Industries. Aggregate Industries’ innovative financial robotics system has seen the company swoop a 2017 Aecus Automation Award. 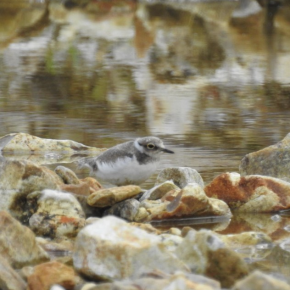 Aggregate Industries put work on hold this summer after little ringed plovers were seen to be nesting on a site earmarked for works. 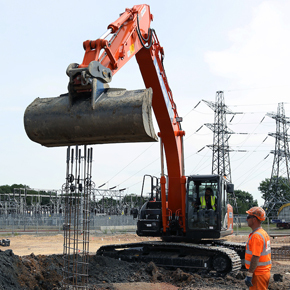 Aggregate Industries has supplied the ready-mixed concrete specification for the piling foundations of a large power plant at Peterborough power station. 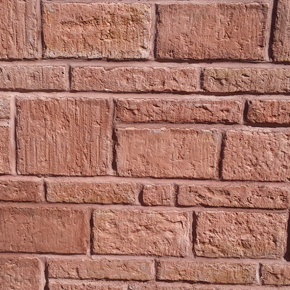 Aggregate Industries has introduced a new Sandstone Red colour variation to its Bradstone Traditional walling range. 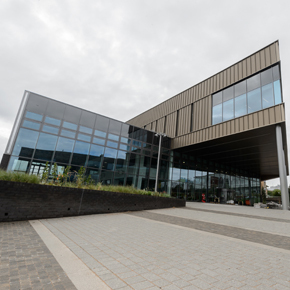 Aggregate Industries has provided the platform for the newly created National College for High Speed Rail, located in the centre of Birmingham. 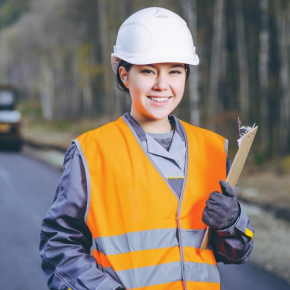 Aggregate Industries believe encouraging more women into the industry could be vital to ensure the future of the British transport infrastructure. 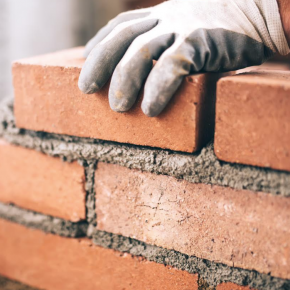 Despite major pay increases for some tradespeople, Aggregate Industries say more needs to be done to attract new talent to the construction industry. 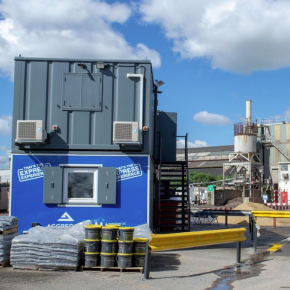 A commitment to customer focus has reaped dividends for Aggregate Industries’ Express Asphalt plant in Salford, with the plant delivering record sales in June. 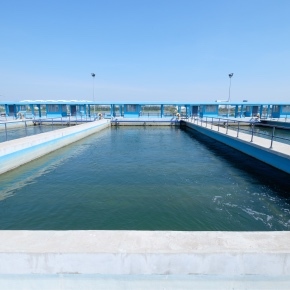 As part of a £3 million restoration scheme, Aggregate Industries has helped reopen one of Europe’s few remaining saltwater lidos. 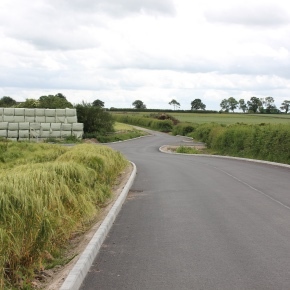 Aggregate Industries have developed a new surface course which can speed up road surfacing by more than 40 percent. 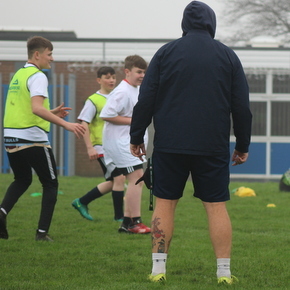 Construction and infrastructure company Aggregate Industries have announced the success of their ‘Concrete Rugby’ scheme, which has reached in excess of 1,000 pupils across Leicestershire. 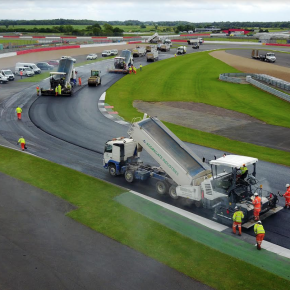 Aggregate Industries has recently completed a huge resurfacing project preparing a Silverstone track for the recent British Grand Prix world championship. 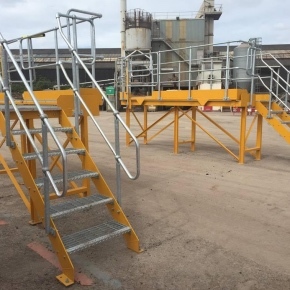 Aggregate Industries’ popular Salford Express Asphalt plant has recently launched its own biodiversity section. 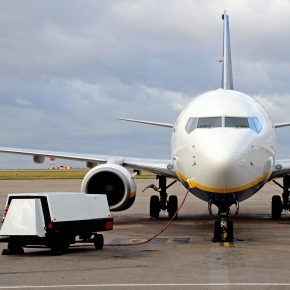 Aggregate Industries recently supplied approximately 55,000 tonnes of aggregates to resurface the East Midlands Airport. Aggregate Industries has launched its first phase of activity as part of its ongoing Bardon Community Fund. 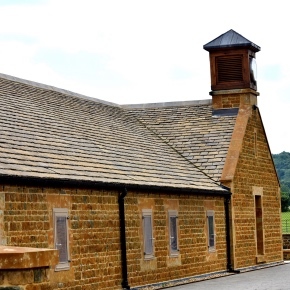 Aggregate Industries’ Building Products division has supplied 2700m2 of roof tiling to a large-scale residential property in The Cotswolds. 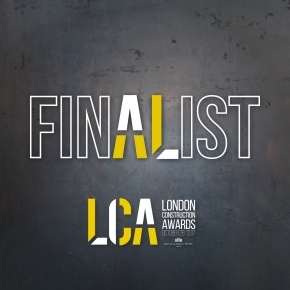 Aggregate Industries’ secondary aggregate, Lytag, has been shortlisted in two categories in the London Construction Awards. 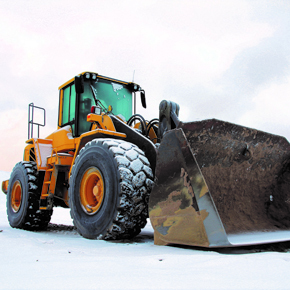 Aggregate Industries Contracting claims that wider investment is vital now for the industry to sustain its current level of activity following new funding. 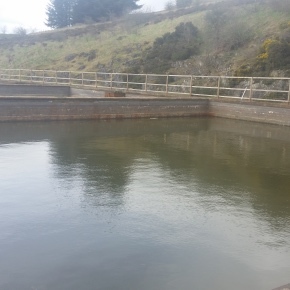 Garside Sands is helping to improve the water quality Glenfarg Water Treatment Works by supplying over 2,800 tonnes of Slowfil Sand. 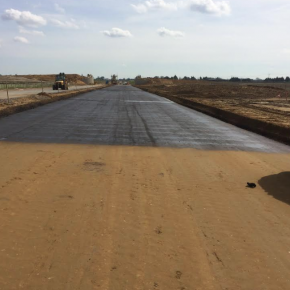 As part of Rugby Polo Club’s driveway upgrade, Aggregate Industries was specified to supply over 1,500 tonnes of asphalt. 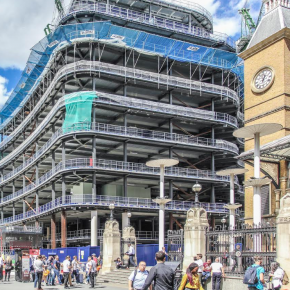 Aggregate Industries is reminding the construction sector that collaboration is the key to raising safety standards. 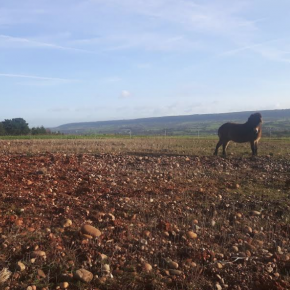 Aggregate Industries has introduced a new quality-assured premixed ready-to-use formulation, Lafarge Cement, for fixing all types of fence posts. 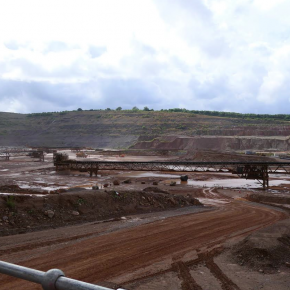 Aggregate Industries has appointed a new General Manager for Garside Sands, Tom Wise. 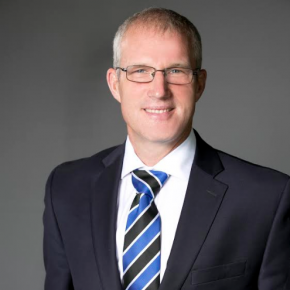 Aggregate Industries has appointed Mike Pearce as the Managing Director of its Aggregates division. 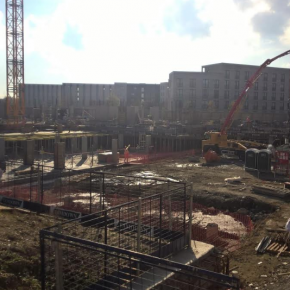 Aggregate Industries’ Lytacrete solution was chosen to help Wright Investments add an extra floor mid-construction to a new seven story apartment scheme. 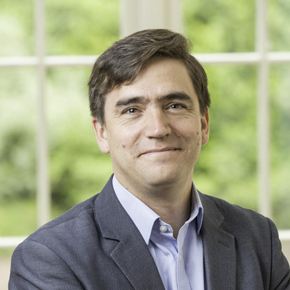 Aggregate Industries has employed Pablo Libreros as its new Growth and Innovation Director. 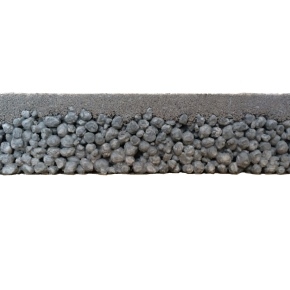 Aggregate Industries has strengthened its Lytag offer with the relaunch of Sportag, a sustainable, lightweight drainage material. 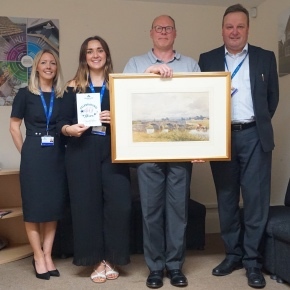 Paul Marley, an Internal Sales Representative for the Building Products division of Aggregate Industries, is celebrating 40 years with the company. 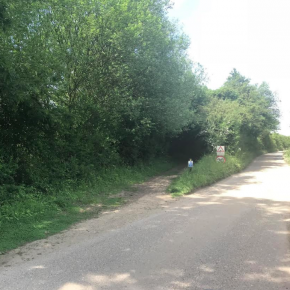 Two quarries are encouraging visitors to stay on the designated footpaths, after noticing an increase in birdwatchers climbing over safety barriers. 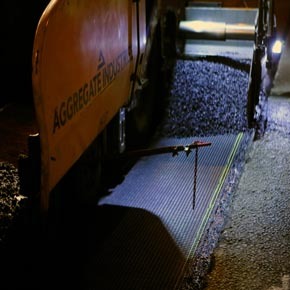 Express Asphalt has launched a new solution for customers to access the back of their tipper vehicles, to negate the risks associated with sheeting. 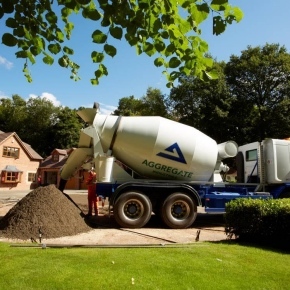 Aggregate Industries has extended its packed product portfolio with the addition of six new products to its Lafarge Cement collection. 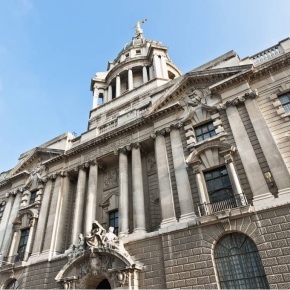 Aggregate Industries has been awarded a new contract to provide its Lytag product in the modernisation of the 20 Old Bailey redevelopment in London. 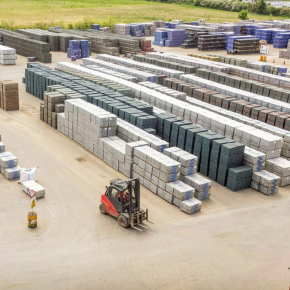 Aggregate Industries’ Masterblock business has invested £2 million into improving its block product operations at three of its factories across the country. 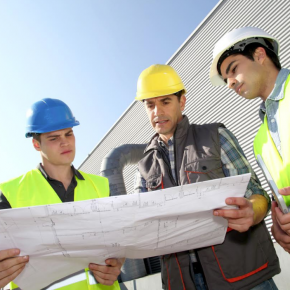 Aggregate Industries has introduced a new and improved on-site induction process. 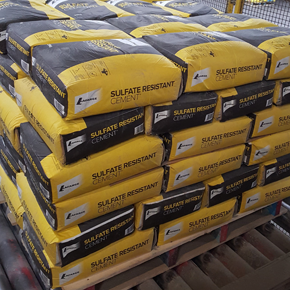 Aggregate Industries has launched a customer service pledge to buyers of its ready-mixed concrete products. Aggregate Industries has secured a contract to supply materials required for the National College for High Speed Rail project. 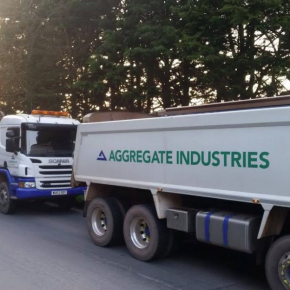 Aggregate Industries has invested in five new vehicles to bring its popular Minimix service to even more customers. 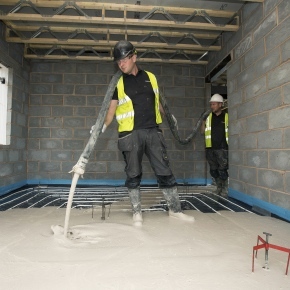 Aggregate Industries’ Highflow S flooring screed was installed at the new Gower Gardens residential care home in Halesowen, Birmingham. 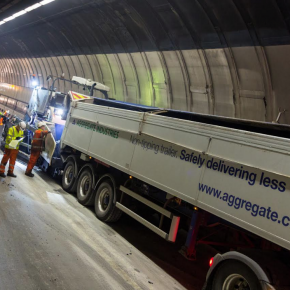 Aggregate Industries has secured the contract to move spoil away, by river, on the western section of the £4.2 billion Thames Tideway Tunnel project. 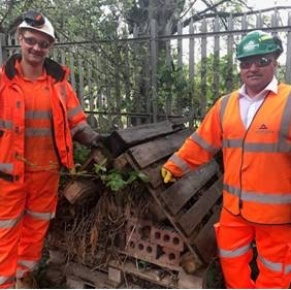 Aggregate Industries has partnered up with Coalville to be try and home a new generation of construction workers, engineers and environmental enthusiasts. 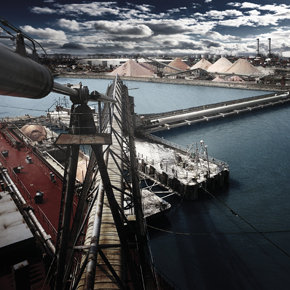 In December 2016, the one millionth tonne of material manufactured at the staff and management of Aggregate Industries’ Asphalt Plant was dispatched. It is now quicker and easier than ever to place collection orders on the go with Aggregate Industries, as it has launched a brand new phone app. 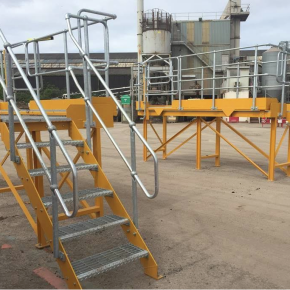 Aggregate Industries offers a new material feeder that allows for uninterrupted, non-contacting material transfer. 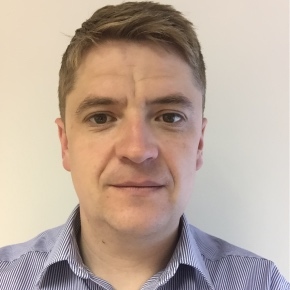 Aggregate Industries has announced two new appointments, joining the Express Asphalt division. 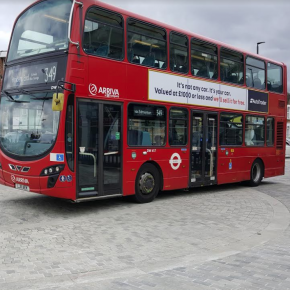 Specified by ATC JV, the heavyweight aggregate developed by London Concrete will minimise the noise and vibration generated by the Elizabeth line. 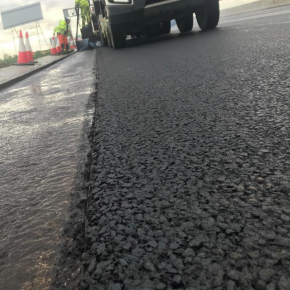 Aggregate has announced the launch of SuperBond, a single Polymer Modified Bitumen Bond Coat that addresses the current manual methods used across the industry. 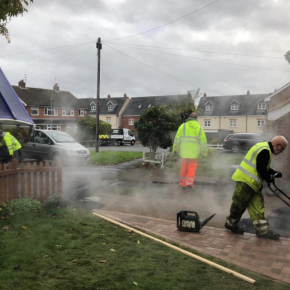 Aggregate Industries has worked in collaboration with Highways England and Kier Construction on the UK’s first Hot-on-Hot in line paving trial. 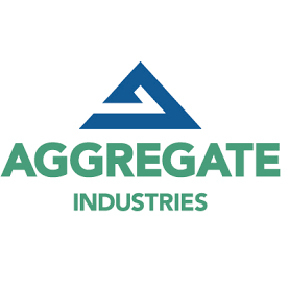 With the relaunch of LytaScreed, Aggregate Industries is consolidating its revolutionary Lytag offer. 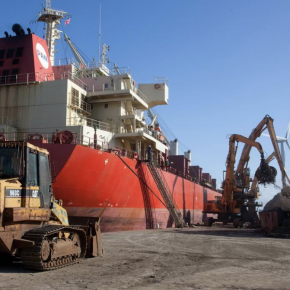 Winning contracts to supply concrete to two key projects in BAE Systems’ expansion of its shipyard in Barrow-in-Furness is Aggregate Industries. 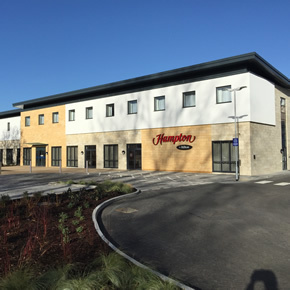 Aggregate Industries was recently contracted to provide Travertine walling products for Hampton by Hilton Oxford, a contemporary, new-build hotel. 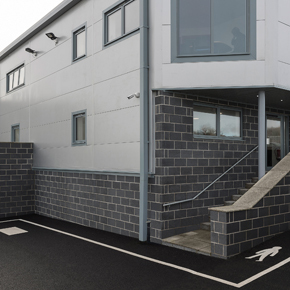 Aggregate Industries has supplied 215m2 of StoneMaster walling to County Confectionery Ltd’s new manufacturing facility in St Ives, Cornwall. 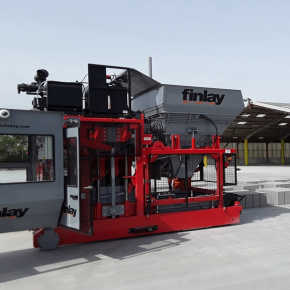 Aggregate Industries has invested £15 million into a manufacturing facility dedicated to the production of Lytag, a lightweight aggregate that uses Pulverised Fly Ash. 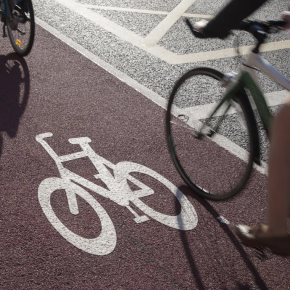 SuperTrench comprises a collection of hot mix surface course mixtures developed to help reinstate flexible footways, footpaths and cycle tracks. 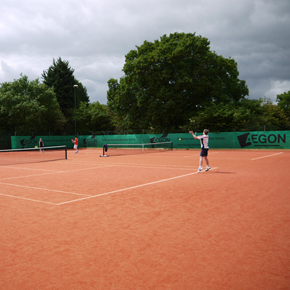 Garside Sands has developed a new sport sand for synthetic tennis courts to help replicate the characteristics of a clay court. Aggregate is celebrating 30 years of shipments from the Glensanda super quarry, situated in the Morvern Peninsular, near Oban on the West Coast of Scotland. 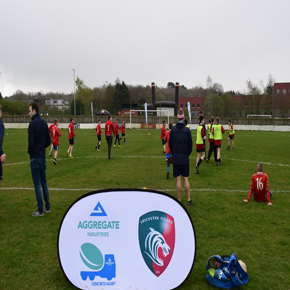 Leicester Tigers has partnered with Aggregate Industries to create Concrete Rugby, a programme designed to promote healthy lifestyle amongst young people. 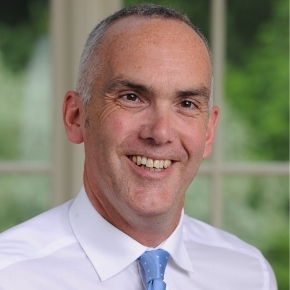 James Roberts has been appointed as Organisational and Human Resources Director for Aggregate Industries and will sit on the company’s Executive Committee. Yeoman Halsvik has helped stabilise the wreck of a German World War II submarine outside of the island of Fedjie on the west coast of Norway. 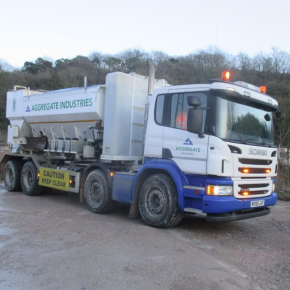 Aggregate Industries has launched a new concrete product developed for contractors facing adverse weather conditions during the winter months. 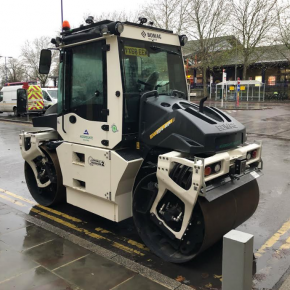 Aggregate Industries has introduced the Titan ABG Paver, a heavy duty paving fleet, to the UK’s highways surfacing industry. 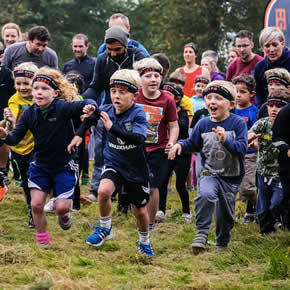 Aggregate Industries donated over 100 cubic metres of silica sand to the Bear Grylls Survival Race series, which took place over the summer. 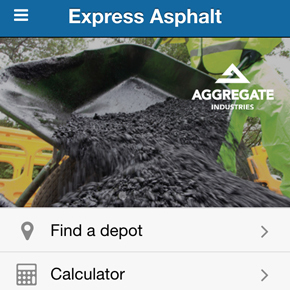 Aggregate Industries has launched a new Express Asphalt smartphone app for customer queries, with important information accessible at the click of a button. 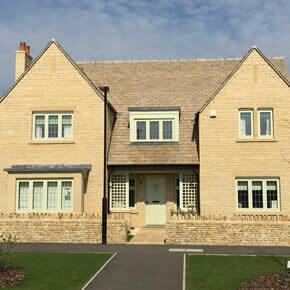 Aggregate Industries has supplied a range of reconstructed stone wall and roof products to Elements at Cerney on the Water, a development in South Cerney. 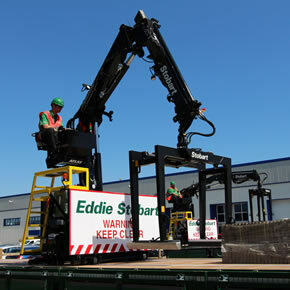 Aggregate Industries has procured a new fleet of mechanical offload (MOL) trailers and EN-XL curtainsliders from its haulage partner, Eddie Stobart. 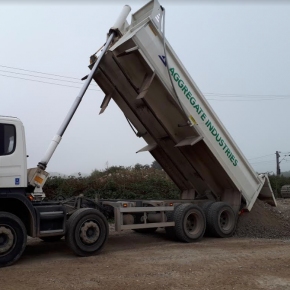 Aggregate Industries has invested almost half a million pounds in a company-wide weighbridge training programme for its employees. 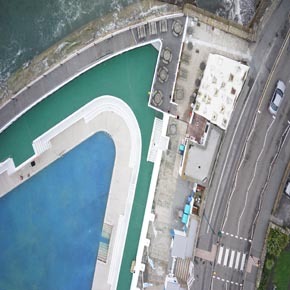 Hyrdomedia is the latest fast draining concrete solution developed by Aggregate Industries for surface and storm water management. 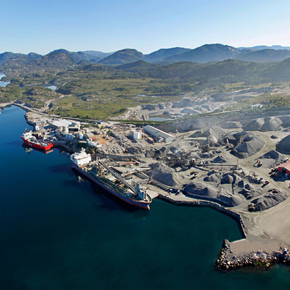 This month, Aggregate Industries is celebrating 30 years of shipping from its super quarry Glensanda, which can be found on the West Coast of Scotland. 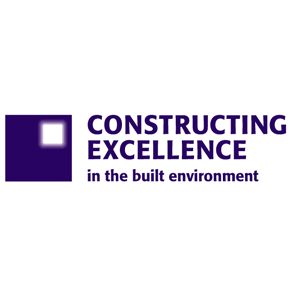 Constructing Excellence has welcomed Aggregate Industries as the first construction materials provider to achieve national membership status. 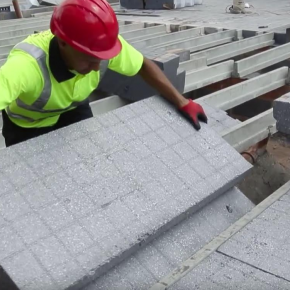 The highly fluid concrete is widely regarded as a revolutionary technology for its unique flow properties, eliminating the need for vibration. 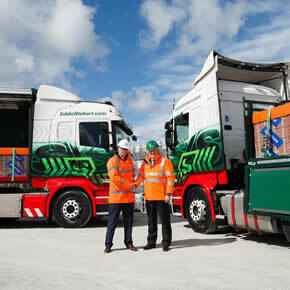 Aggregate Industries has appointed Eddie Stobart as its logistics supply partner for its Concrete Products division.